The biggest clam pearl in the world was found by a fisherman in Palawan 10 years ago. The unnamed fisherman did not sell it though, he kept it as a good luck charm. Then, the pearl just sat under the bed for a decade and was almost forgotten, until the owner had to move out of his home. According to Puerto Princesa City Tourism Officer, Aileen Cynthia Amurao, the owner entrusted the pearl to her. Amurao then turned over the pearl to the city government. The fisherman did not even know the value of "Perlas ng Puerto", as it is now called. As of now, the gigantic pearl is appraised at $100 million. Amurao said that the fisherman will receive monetary compensation from the local government, although the amount is still unspecified. 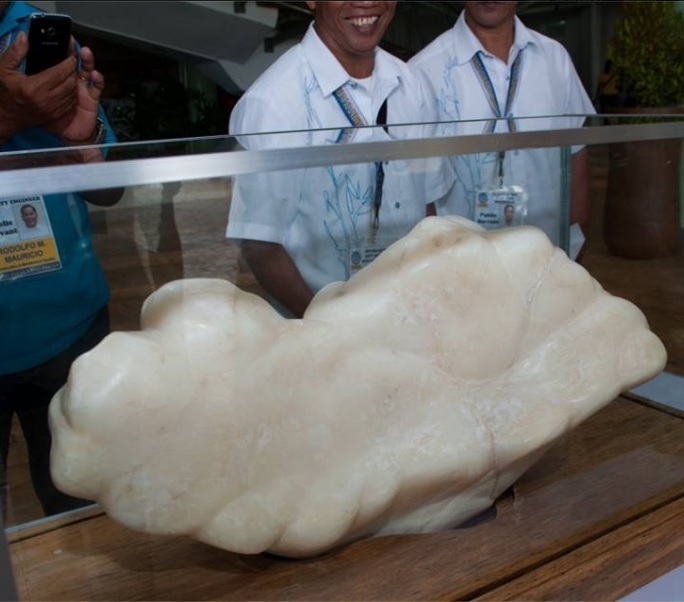 The Puerto Princesa City would likely earn another prestigious title and a record breaker for having the WORLD'S BIGGEST NATURAL GIANT PEARL FROM A GIANT CLAM (34 Kilograms) after being certified for its authenticity. Need help from Gemologists! Available for public viewing on August 22, 2016 8am-9am at the Atrium of New Green City Hall, Puerto Princesa City, Palawan, Philippines. Come and visit Wonderful Puerto Princesa. Just for the info of everyone, all recorded giant pearls in the world came from Palawan Waters. Shared more than 3,300 times, local news agencies picked up the story a couple of days later. The pearl is not authenticated and officially declared as the world's biggest yet. But it would probably be only a matter of time before it would be accorded that title. Currently, the Pearl of Lao Tzu (a.k.a. 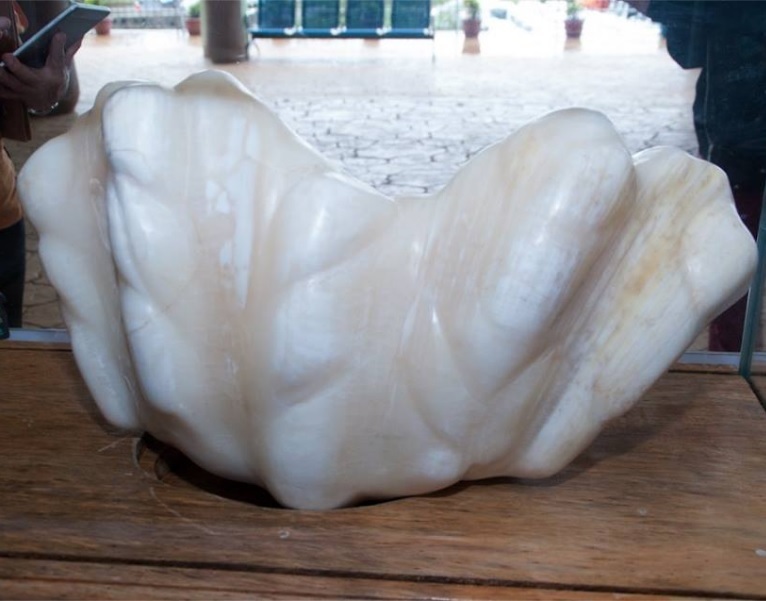 Pearl of Allah) is still officially known as the biggest clam pearl in the world at 6.4 kilos or 14 pounds, measuring 24 centimeters wide. It was discovered at Brooke's point, also in Palawan and is valued at $40 million by the Guinness World Records. Meanwhile, weighing 34 kilos or about 75 pounds, the Perlas ng Puerto is 5 times heavier than the Pearl of Lao Tzu. And unlike the turban shape of the latter, the Perlas ng Puerto is shaped very much like a giant clam and measures 1 foot wide, 2.2 feet long. 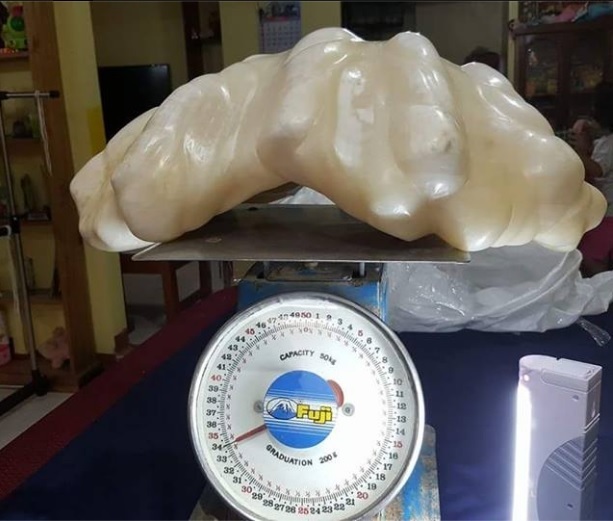 The City Tourism Office said that there was another gigantic pearl found in Palawan in 2014 and which weighed 24.7 kilos including the shell.